I’ve been reflecting on what, if anything, I would do differently if I had my time again as a mum of a new born baby. I vividly remember that overwhelming sense of excitement, fear, joy and exhaustion! I remember the day that it hit me that this little life was utterly dependent on us. Our first child, Zoe, was born in 2001, at that time Wellington did not have newborn hearing screening. In a sense I feel fortunate that we did not have to contend with the numerous professionals, appointments and conflicting advice that often follows the newborn hearing screening. We had 15 months of just bonding and growing together as a family. Language was acquired in a playful way in our home and in the wider community. Our two children were born into a bilingual/bimodal home. I am hearing and my husband, Oliver, is Deaf. We have two children, Zoe is Deaf and Elijah is hearing, NZSL is their first language and by the time Zoe was identified via an ABR, she was signing in sentences! Prior to having children I had worked as a sign language interpreter and a teacher of the Deaf. But my most rewarding and challenging role has been as a mum. All the book knowledge and experience of working in schools and in the community didn’t prepare me for the parenting journey! One of the struggles we had early on, when Zoe was very young, was finding a community of families, using NZSL. We struggled to find deaf or hearing children with whom our children could play, interact and sign with. We relocated to Sydney Australia and found an amazing community of parents and children who had sign langauge as a language in their homes! This made a world of difference. Both of our children attended a bilingual pre school. Zoe then went onto a bilingual primary school in Sydney. Even when we returned to New Zealand and no longer had the option of a bilingual education setting for Zoe, the thing that has made the mainstream schools more accessible has been having Deaf professionals involved in the school in a variety of ways and having a community of users who have made the effort to learn NZSL. When I reflect on Zoe’s primary school years, the biggest priority in the mainstream schools has been friendships and social acceptance. There was often a greater focus (by the professionals) on learning goals and academic learning, however we found very quickly that if Zoe was not happy and was having issues with friendships then her academic learning was taking a back seat anyway. So it made sense to us to put the effort and focus into ensuring Zoe felt confident and comfortable at school. Her final two years of primary school have been amazing. She has been at a primary school that has adopted NZSL as the alternate langauge for the years 5-8 students. This has created an environment where sign language is a language seen throughout the school not ‘just for the deaf student ‘. The notion of inclusion has been made more of a reality via the provision of a professional educational interpreter. This has enabled Zoe to relax and learn alongside her hearing peers. And with the peers also having the opportunity to acquire NZSL, it has enabled Zoe to develop real friendships. In our home we want to raise our children to know that they can do what ever they put their minds to, and to instill in them a sense of confidence and pride in their bilingual/bicultural identities. Oliver and I work hard to ensure that both children have access to NZSL and English. Within our bilingual/bimodal house there are a number of things that we do that I believe brings us closer as a family unit and adds more clarity to our communication. Signing at the dinner table- when seated around the table for dinner, NZSL is the language for conversations. This is because it is accessible to all of us and ensures that no-one is left out. For families who are starting to develop NZSL in the home, this can be a great way of developing confidence and practice in the language. The conversation is often predictable and provides a safe setting for the family to all give it a go. Storytime in sign- bedtime stories were always signed to Zoe. For Elijah he would choose particular stories to be read in spoken English and others he preferred to have signed to him. Again for a family starting out with developing NZSL, learning a particular story, rhyme or song, can be another way of developing confidence in the language and bonding with your children. Signing around the child – I believe it is important that deaf children see conversations around them and that they are aware that there are many users of NZSL – both Deaf and hearing. It is important that parents take time daily to have conversations in sign language, not necassarily with the deaf child, but with hearing children and each other. This provides the deaf child the opportunity to ‘over hear’, ask questions and learn about the world around them. In the same way that hearing children pick up information incidently from conversations around them. 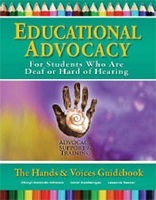 Seeking out Deaf examples- we are always exposing our children to Deaf examples in all walks of life. There are so many benefits to this: for Zoe it provides her more opportunities to have greater aspirations and a variety of role models. For Elijah it reiterates the validity of his first language and a sense of pride that he is connected to the Deaf world. For the teachers working with Zoe and the general hearing community, seeing successful Deaf people in a variety of roles broadens their understanding of what it means to be Deaf and raises their expectations of deaf children. As parents there is nothing we want more than happy healthy children. We aim to have an environment that enables our children to communicate with us about anything. I love that Zoe and Elijah can sit with us at the end of a day and tell us about the highs and low of their day. I am in awe of Zoe’s perseverance. As inclusive as her school is she is still faced daily with a predominantly hearing environment and it is exhausting at times. There are many days when she just wants to be in a Deaf environment and access information directly (not via an interpreter). Her experience this year attending the WFDYS children’s camp at Gallaudet University, was incredible. This was her first time staying away from us for that long. She found it challenging but again her perseverance and courage served her well. She has connected with deaf children from all over the world. She has met Deaf leaders and seen parts of the world that have so much meaning to her and have inspired her to strive to get back to Gallaudet University in the future. For families who are beginning to develop NZSL I believe it is important that they feel connected and comfortable with the language. This happens by having a connection to a community of users of the language. Having access to Deaf adults, hearing signers, deaf and hearing children who use NZSL, means that families can relax and enjoy learning NZSL alongside their child. This also provides numerous opportunities to practice and refine their use of the language. Although Oliver and I were bilingual before having our children, it was having access to a community of signers at a variety of ages, that made a huge difference to how our children acquired the languages. 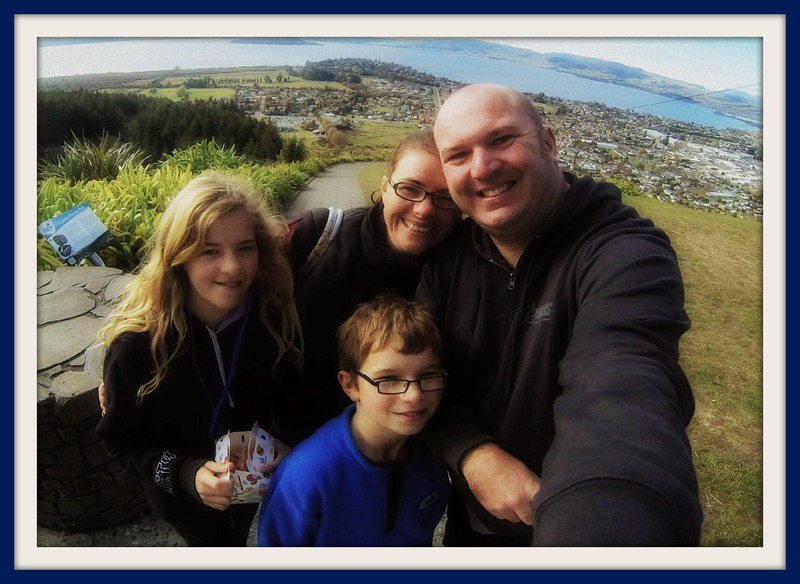 Our parenting journey over the past 13 years has been a roller coaster ride that has seen us relocate to different cities in NZ and even to Australia, in search of what we wanted for our children. I have no regrets and I am thankful for the lessons learned with each move we have made. This year we have entered the ‘teenage’ years I am again feeling that overwhelming sense of fear, joy and exhaustion…but most of all excitement about what the future holds for our bilingual/bimodal children!